This first Lady Patriot Series will be a 3 part book series which features the Freedom’s crusade to search for & rescue her partner in Justice, Liberty who has gone missing for months without a trace. “Freedom” seeks out the help of the sometimes Unattainable “Pilot Brit” who is a tough, full of attitude Time traveling freelance fighter Pilot from England. 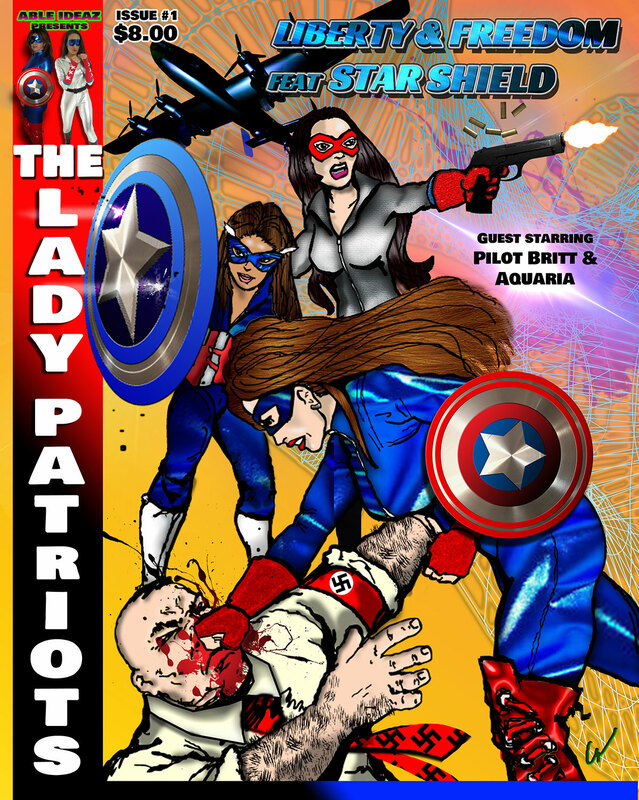 The trail leads them to 1940’s Germany to a Nazi hideout where “Freedom” is ultimately captured & tortured while the ” Pilot Brit” time travels back to the future & enlist the help of “Aquaria” & “Star Shield” to go back to the past to rescue “Freedom”. After the Team of Brave unique ladies return they successfully rescue Freedom as well as who appears to be Liberty’s estranged sister who is posing as the Patriotic Heroin. The Lady Patriots & friends must now escape the clutches of the Nazi hideout where the Fuhrer himself Adolf Hitler is on site to conduct the interrogations. Will the Lady Patriots accomplish they’re rescue missions & possibly prevent a war & somehow prevent the deaths & devastation of thousands of innocent people.